Black diamond is a small town about 1/2 hour south west of Calgary, so I don't think you mean you want to live there (maybe you do). Are you looking to buy a house or rent when you and your family get here? Depending on where you are working we might be able to recommend a nice area of town to live in! 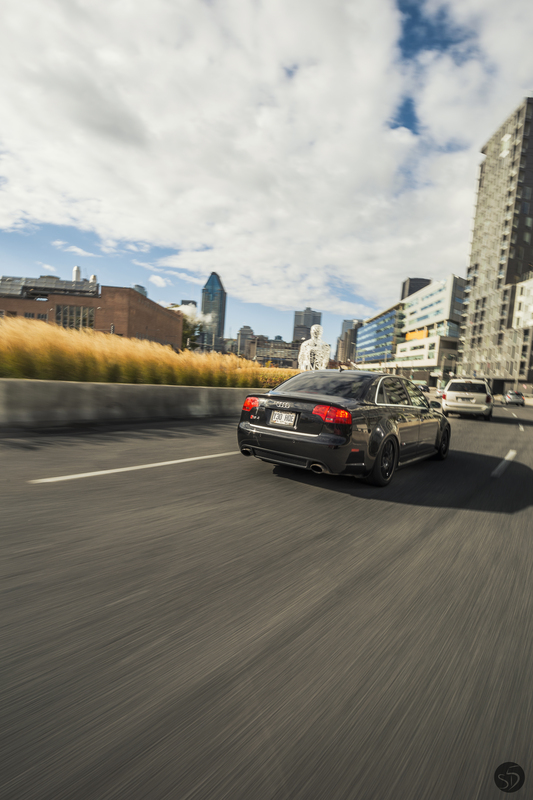 Last time I drove from Montreal to Calgary was in Robs new to him V8 R8. That was a fun trip!! Welcome!! Want to see the beast in person!! I did it the first time in a Mk2 Jetta and the second time in a 98 civic. It's honestly a fantastic drive. I took the trip through Canada only both times, the people I met along the road were all great, friendly and very helpful. The winding roads of North Ontario take the longest but are the most beautiful part of it. You get out there and when you stop at night, you can finally see the real night sky, the stars, shooting stars, the northern lights - nothing like it. The prairies go by in a blur of deer and corn fields, every town or city there feels like it been just built and is new and shinny. Then as you get into Alberta you see the majestic Rocky mountains slowly appearing on the horizon. sounds amazing! i cant wait for that! Last edited by MC SULY; 01-07-2019 at 02:19 PM. Already drove the gf up there last weekend, and shes settled in. I am a big fan of your wheel and tire setup, looks awesome and so aggressive!! 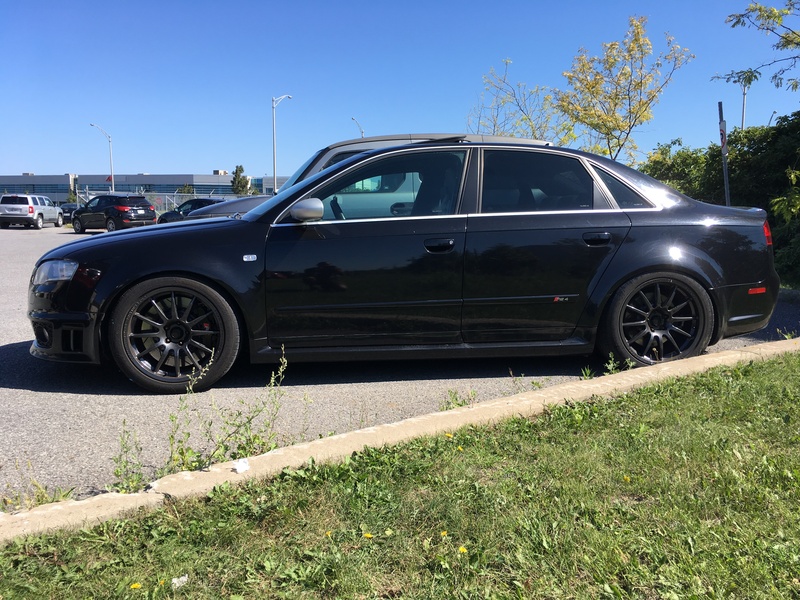 Gotta say to me it takes a good combo of suspension and wheel combo to make the rs4 look good and yours looks real nice. 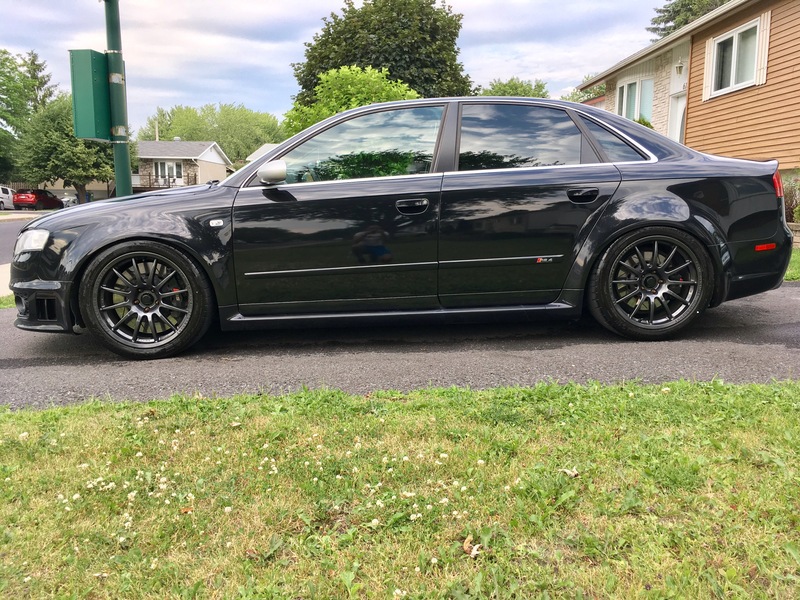 Hopefully we can get all our rs4s together in a few months. forgot to post, with my paperwork, i should be in Calgary end of Dec.
Last edited by MC SULY; 11-06-2018 at 09:27 PM. 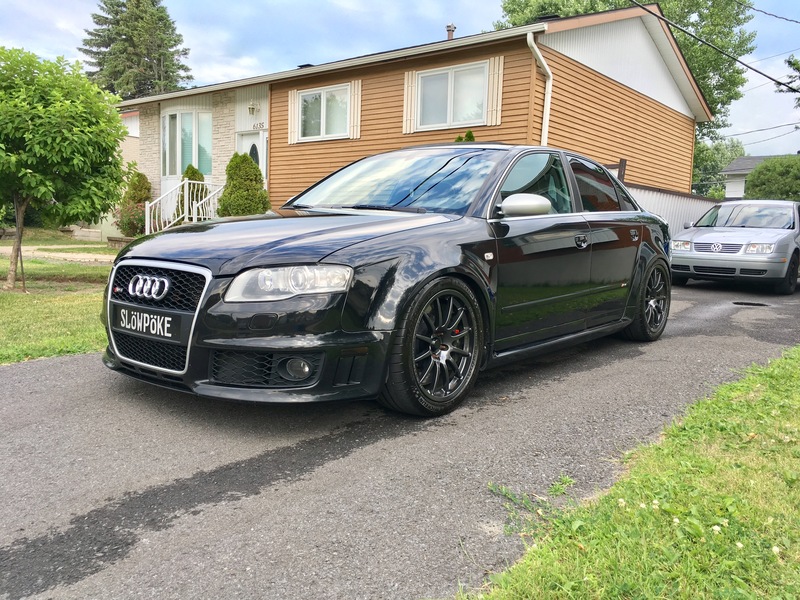 I'll be making the the drive again, this time with the B7 RS4. with studded winter tires of course haha. Finally i'll be able to attend your summer/winter meets! Got married on oct 20 @ time supper club after 11year+ relationship. planned the wedding my self, wrote the ceremony scripts etc. was nice having rombotis and strasse there. Last edited by MC SULY; 11-06-2018 at 09:31 PM. Congrats on the wedding and drive safe!! Great car and welcome to Calgary! When you need out of province shoot me a PM. Have a guy that will get it sorted without any problems.